Space-saving and stylish, this serving ladder is a 3-tiered serving station with small, medium, and large removable trays set on a collapsible ladder. 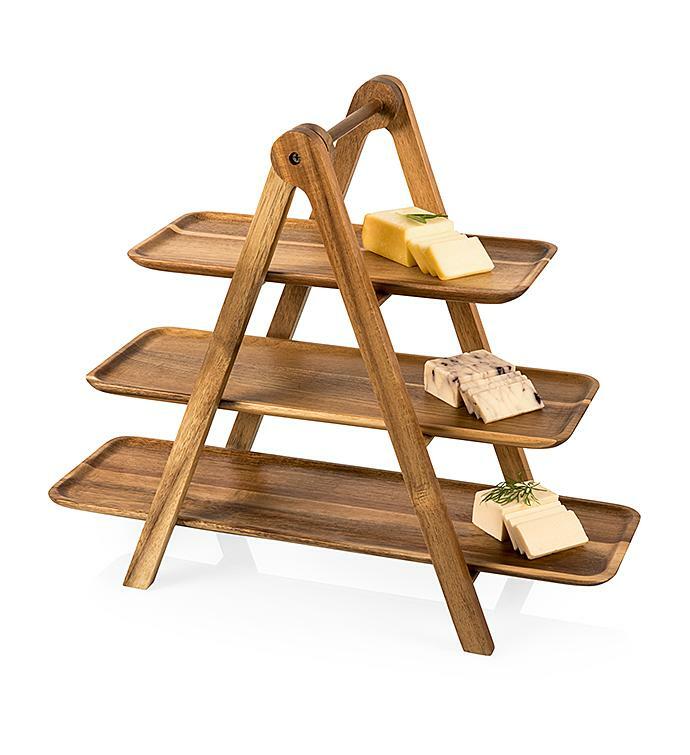 Made of natural acacia, this serving set is the perfect centerpiece for picnics and wine and cheese tastings. The classy layout will wow guests at your next dinner party or family get-together.